Accounts receivable (AR) is no second-rate department. Not only is it usually the largest company asset, it deals directly with customers and cash flow — things businesses can’t do without. You'd think internal AR processes would be on the cutting edge of innovation, right? Yeahhh … not so much. 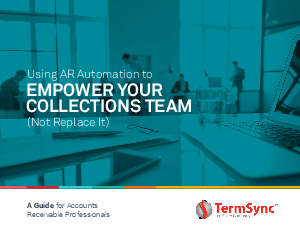 While departments like sales, marketing and payroll have embraced the use of software solutions, AR has been slow to catch up, with many still relying on sticky notes, calendar reminders and spreadsheets to manage post-sale collections activities. Download the eBook now to discover more about Accounts Receivable Automation!